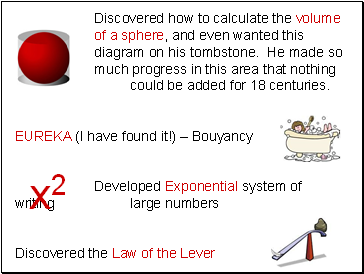 Discovered how to calculate the volume of a sphere, and even wanted this diagram on his tombstone. 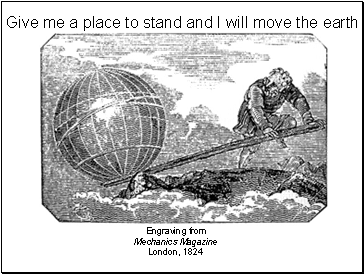 He made so much progress in this area that nothing could be added for 18 centuries. 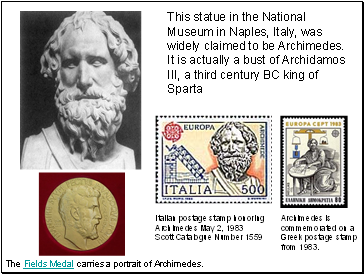 This statue in the National Museum in Naples, Italy, was widely claimed to be Archimedes. 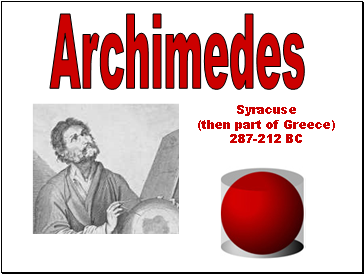 Greek postage stamp from 1983. 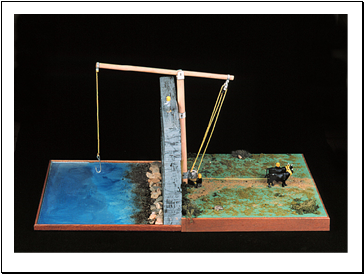 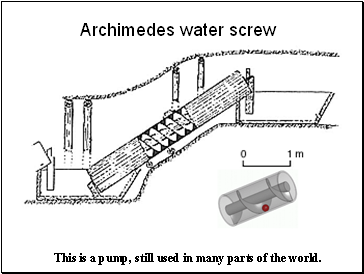 This is a pump, still used in many parts of the world. 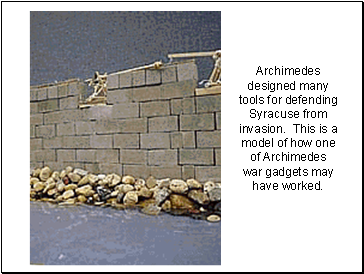 war gadgets may have worked. 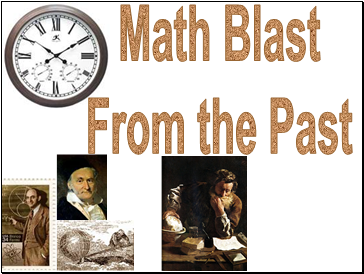 A detail of a wall painting in the Stanzino delle Matematiche in the Galleria degli Uffizi in Florence, Italy. 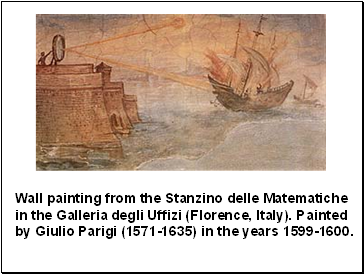 Painted by Giulio Parigi (1571-1635) in the years 1599-1600. 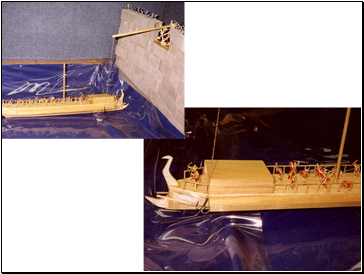 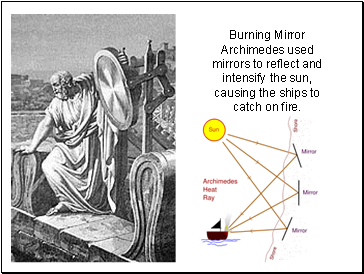 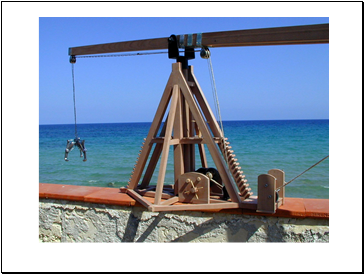 Archimedes used mirrors to reflect and intensify the sun, causing the ships to catch on fire. 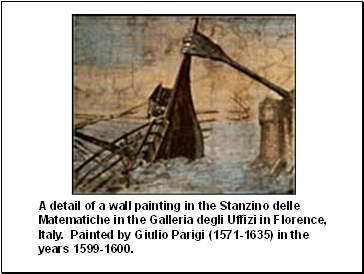 Wall painting from the Stanzino delle Matematiche in the Galleria degli Uffizi (Florence, Italy). 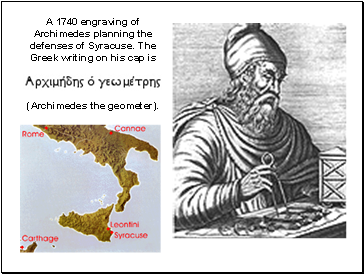 Painted by Giulio Parigi (1571-1635) in the years 1599-1600.